France is world-renowned for its cuisine; from entrée to digestif, the ingredients are fresh, the flavours are thrilling and the whole dining experience has a certain unmatched je ne sais quoi. 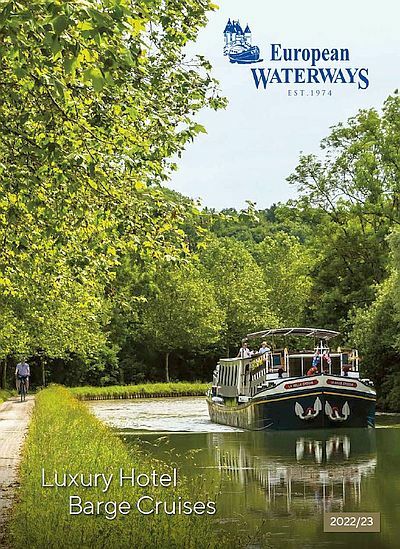 It’s fitting, then, that food is a central pillar of our barge cruises on the waterways of France. Your onboard chef will scour local markets and specialist suppliers to offer you mouth-watering regional delicacies every single day. The vast Camargue wetlands are famously home to flocks of flamingos, the indigenous ancient breed of white horses and semi-wild Camargue cattle. It will come as no surprise that the delicious Taureau de Camargue was the first French beef to be awarded Appellation d’Origine Contrôlée status. Keen cooks will also want to pick up a few bags of Camargue salt while in the region. The renowned speciality is the fleur de sel, a high-quality sea salt that forms in a delicate crust on top of seawater. The cuisine of the green and temperate Loire Valley tends to be lighter than that of other regions in France. Chefs all along the river are blessed with a plentiful array of freshwater fish with which to cook, including monkfish, shad, bass, sole, carp and pike. Shellfish such as oysters, mussels and lobsters are also popular, seasoned with locally-grown shallots rather than garlic. Alsatian cuisine offers a heady mix of German and French culinary traditions for those with a hearty appetite. The region’s most famous dish is Choucroute garnie, a variant of sauerkraut that is normally served steaming hot on a platter topped with pork, ham or bacon. If you’ve got a sweet tooth you won’t want to miss the classic yeast-raised Kugelhopf cake, which is baked in a mould in the shape of the Turkish turban. It is best accompanied by a large mug of café au lait. Delicious! Has this post got your taste buds tingling and your stomach rumbling? Book your place on a hotel barge cruise and embark on your own gastronomic journey through France. If you would like to be a part of this historic vessel’s story, get in touch with our team and book your place on board now.